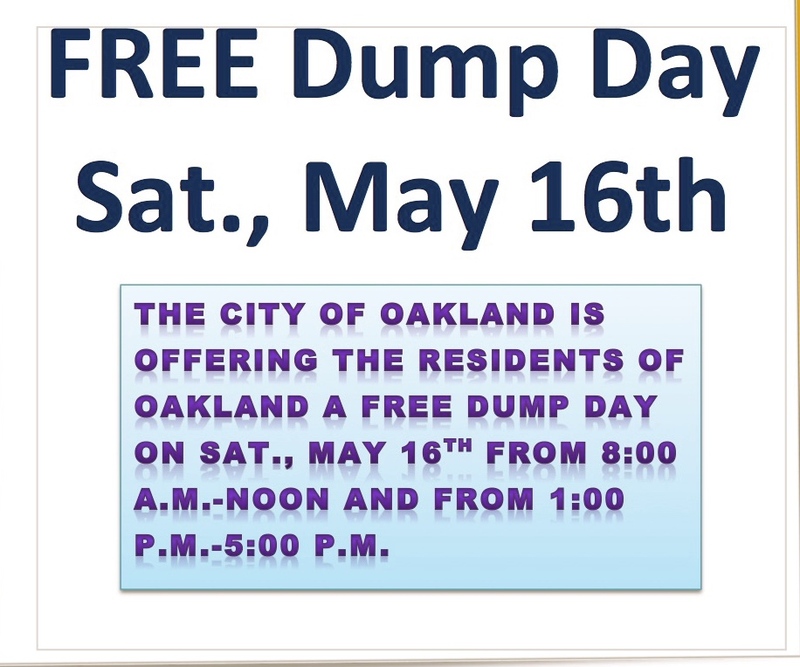 Reminder: Free Dump Day Tomorrow for Oakland Residents Only! 8 a.m. – noon & 1 p.m. – 5 p.m.
*Those living outside the city limits may still dump goods, but they will need to pay the normal fees. Free Dump Day, OAKLAND RESIDENTS ONLY! **Tires and hazardous materials such as paint and toxins are excluded.